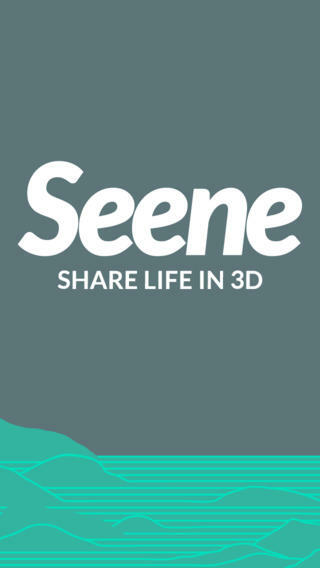 Seene lets you capture and share life in 3D with friends, family and followers. 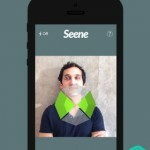 +++ iPhone 4 users: please note you cannot take seenes on iPhone 4, you can only view them. 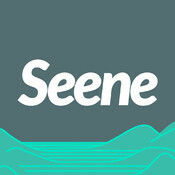 The world isn’t flat, and with Seene, neither are your photos. 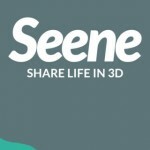 Seene creates a new kind of shareable 3D photo that brings together image, depth and movement in a way that is both familiar and new. 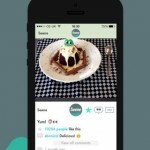 You can share within your Seene feed, or to other social networks. The results are fun and lifelike! • It’s more fun than taking a regular photo! Taking a seene on your phone is simple. 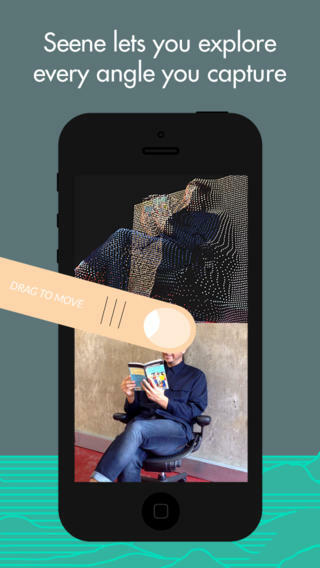 Point your phone at your subject and move around it to capture from different angles. 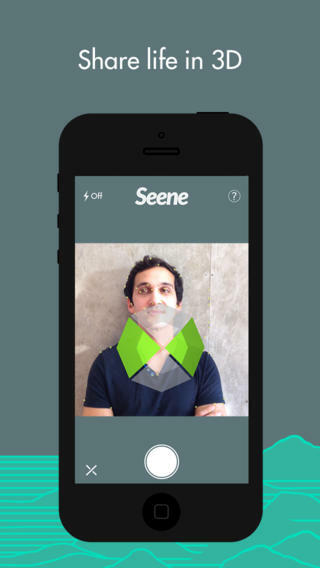 Your progress is overlaid on top of the video feed, and your seene will build automatically upon completion. 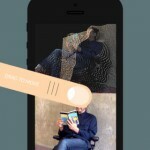 See around your subject by rotating your phone in your hand. 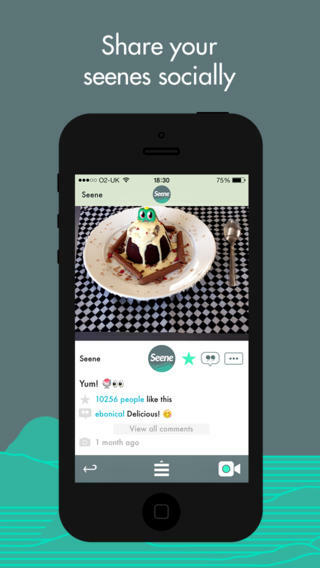 The technology behind Seene pushes mobile phones to their limit. We support iPhone 4S and higher for taking 3D photos, and iPhone 4 and desktop web browsers such as Chrome, Firefox and Safari that support WebGL for 3D viewing. We’ve introduced Staff Picks for everyone to enjoy. This will add a handpicked selection of the very best content into your feed. 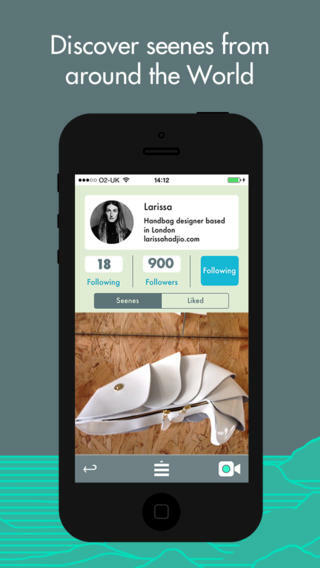 We hope you like this feature as much as we do. 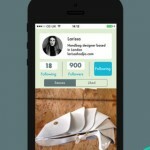 You can toggle its visibility from within your profile settings. The Discovery section has had a huge makeover and we have introduced categories to thematically group together like-minded content for you to enjoy. We have also changed the layout to accommodate a more leisurely viewing experience. You can now also play with the amount of depth in a seene after capture, giving you the ability to edit a seene’s background distance. This gives you more creative control over what you capture. For new users we have added some helpful capture tips and updated the video tutorial to better explain the basics of capturing the world around you in beautiful 3D. Oh, there are some bug fixes in there too. Compatibility: Requires iOS 6.0 or later. Compatible with iPhone 4, iPhone 4S, iPhone 5, iPhone 5c, iPhone 5s, iPad Wi-Fi (3rd generation), iPad Wi-Fi + Cellular (3rd generation), iPad Wi-Fi (4th generation), iPad Wi-Fi + Cellular (4th generation), iPad mini Wi-Fi, iPad mini Wi-Fi + Cellular, iPad Air, iPad Air Wi-Fi + Cellular, iPad mini with Retina display, iPad mini with Retina display Wi-Fi + Cellular, and iPod touch (5th generation). This app is optimized for iPhone 5.